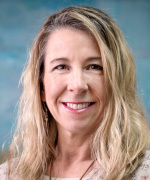 Cathy Landregan received both her bachelor's degree in psychology and human development and master’s degree in social work from The University of Kansas. She has been practicing social work for the past 15 years, with the bulk of the years spent working in residential treatment centers for children, child protection, and in-home family-centered services. She has been a licensed clinical social worker since 2004, working as a therapist in a large psychiatric hospital. Cathy has been with Dipoto Counseling Group for over 10 years. Cathy provides individual, family and group therapy to individuals with diverse backgrounds and unique challenges. She also provides weekly group therapy for adults with mood disorders, and conducts weekly emotional regulation groups for children.